This was a commission from a regular customer who enjoys asking me to make him some special jewellery. 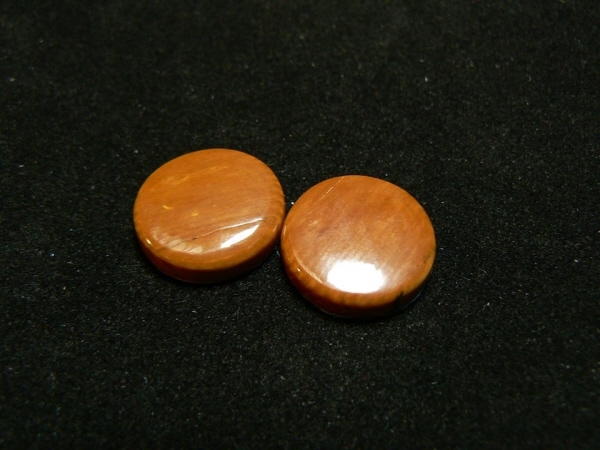 He wanted a pair of special cufflinks for hmself, and we came up with the idea of using Woolly Mammoth tusk. She had never cut Mammoth tusk before but when I sent her the material she said that it was actually lovely material to cut. 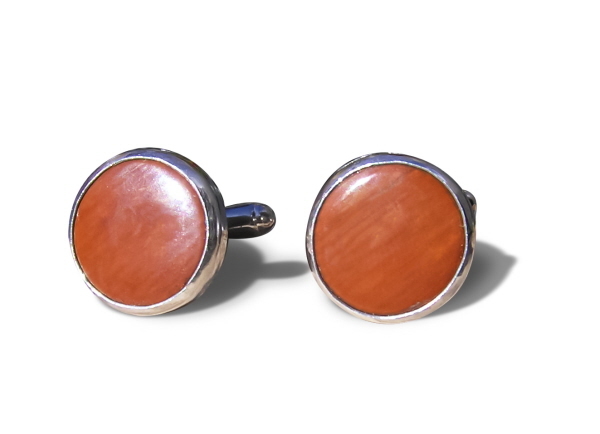 I set the cabs in bespoke solid silver settings and ended up with a lovely looking pair of cufflinks.